Day by day, Dubai continues to cement its stature on the global fashion scene, whether through the success of our local designers amongst the Hollywood stars or the launch of our own official Fashion Week marked on the international calendars of industry insiders. This growth is never more evident than when reflected in the gravitas of the Harper’s Bazaar Best Dressed list; celebrating the style and achievements of 45 regional fashionistas for whom beautiful clothes are as important as strength of spirit and ambition. Last week, Katch International were lucky enough to join the veritable list of whos who in celebrating this iconic publication at an exclusive event held in the St Regis Dubai, Al Habtoor City and catered by the fabulous Brasserie Quartier. Hosted by the team at Harper’s Bazaar Arabia and MatchesFashion.com, the evening was designed to exude the same level of style as those of the ladies it honoured, a feat made possible in part by the partnership with Payal New York. Katch friend and client, Payal Mehta, founded Payal New York in 2009 with the deep held belief that is was essential to design jewellery that would speak to a woman’s character and reflect her spirit while remaining easy, as she puts it ‘jewellery is meant to be worn, not hidden in a safe’. This sentiment was echoed by many of the Best Dressed Women and Harper’s Bazaar Arabia team who were selected to wear pieces from the Payal New York collection; allowing a glimpse into the creativity of Payal’s work and enabling us to see how the pieces fall and move as the wearer walks. On a night with such glamour, it was hard to tell which sparkled more, the stars overhead, the stunning roof lights of garden at the St Regis, or the necks and ears of the guest adorned with Payal New York diamonds. 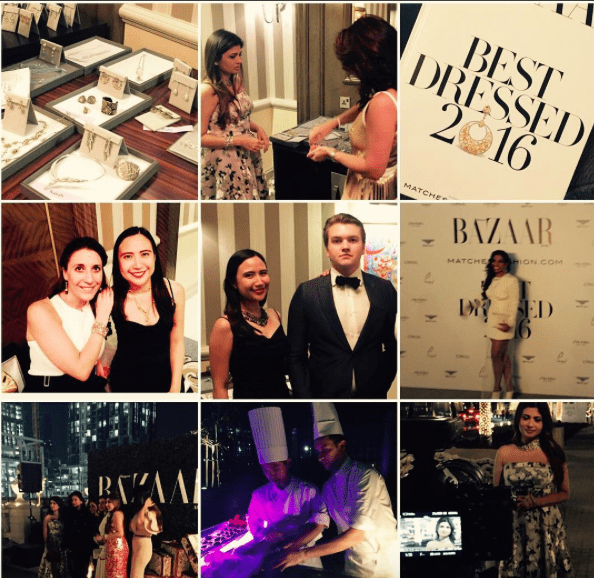 Thank you to Harper’s Bazaar and all the attendees for an overall fabulous evening.